quirky | I Get Dressed In The Morning! 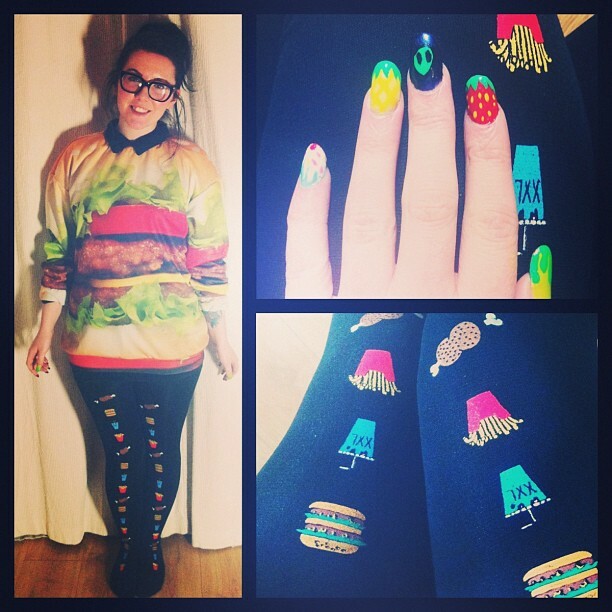 So hey guys, I know the only other lookbook i’ve ever posted was Lazy Oaf too but you know, they’re amazing okay? 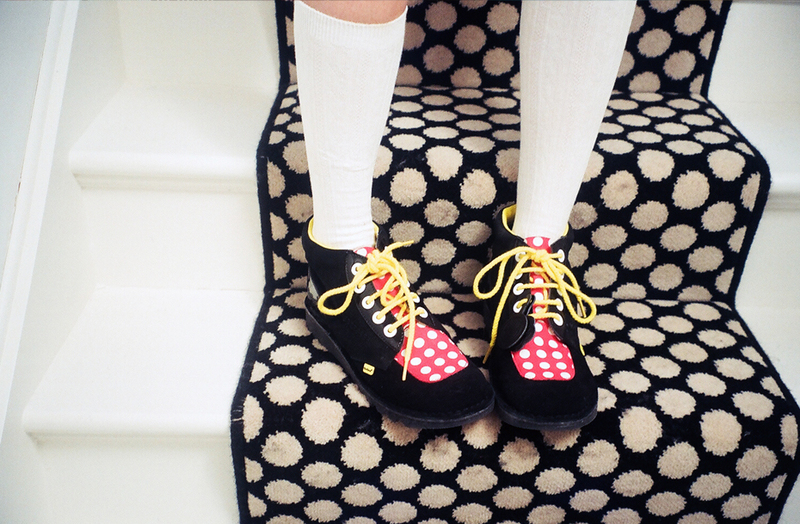 This one is for the Lazy Oaf x Kickers collaboration! 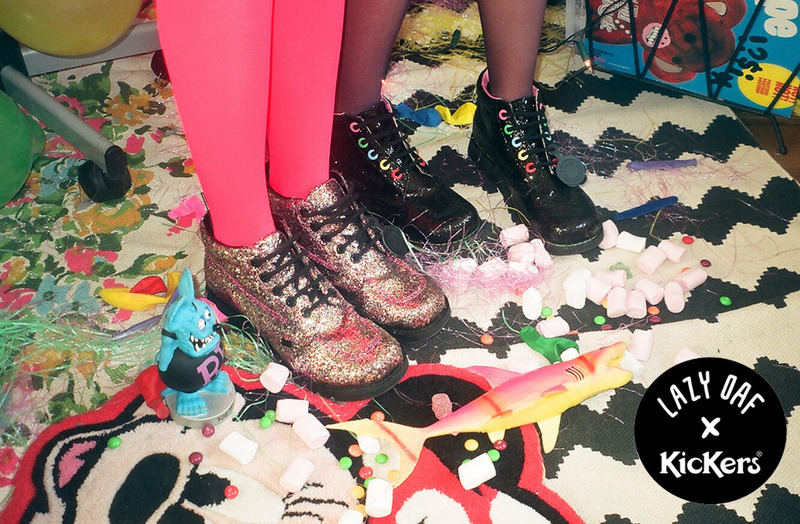 Kickers.. you know, those super 90’s shoes and boots? Here’s a few of my favourite images from the set..
For the full lookbook click HERE. I love them and want them all, sadly I probably won’t be able to get any though, but if I had to choose one pair it’d probably be the black glitter ones, as I could justify them as ‘sensible’ shoes that ‘go with everything’ to the boyfriend! What do you think of the collaboration? Which are your favourites? DIY Delight : Super Easy Strawberry Nails! As promised, here is a quick nail tutorial for all you laquer lovers! 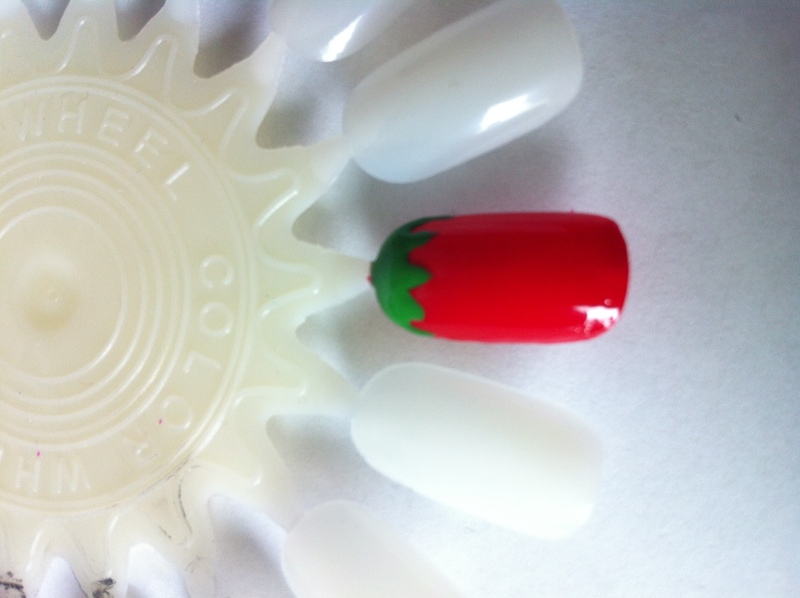 This is one of the first designs I got the hang of when I first started painting my nails with little designs on them, I now incorporate these into ‘Fruit Salad’ manicures along with watermelon and pineapple nails. The strawberries are the easiest, please forgive me if you feel you can already do these with your eyes closed but I wanted to go with a simple one for my first nail tutorial! 1. Gather together your polishes. I always, ALWAYS use a base coat and top coat. 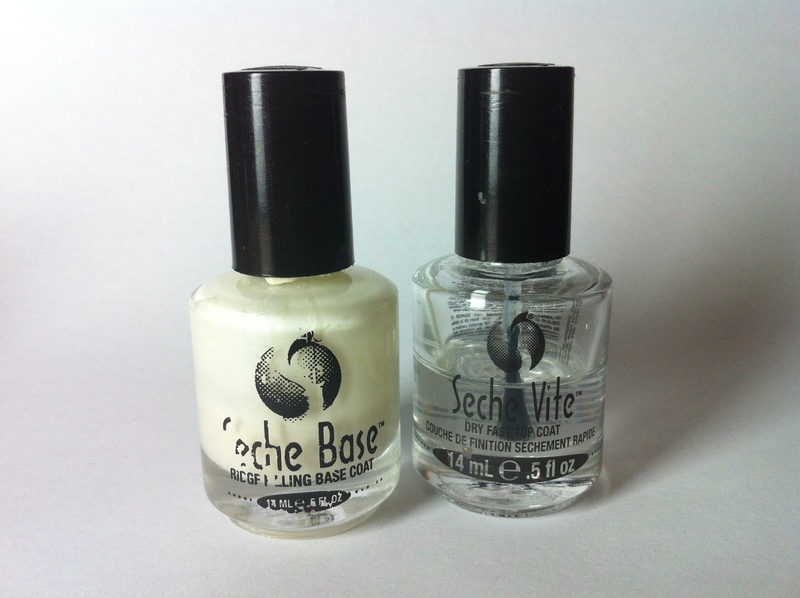 The best I’ve found are Seche Base Ridge Filling Base and Seche Vite Dry Fast Top Coat both available from many beauty websites online! 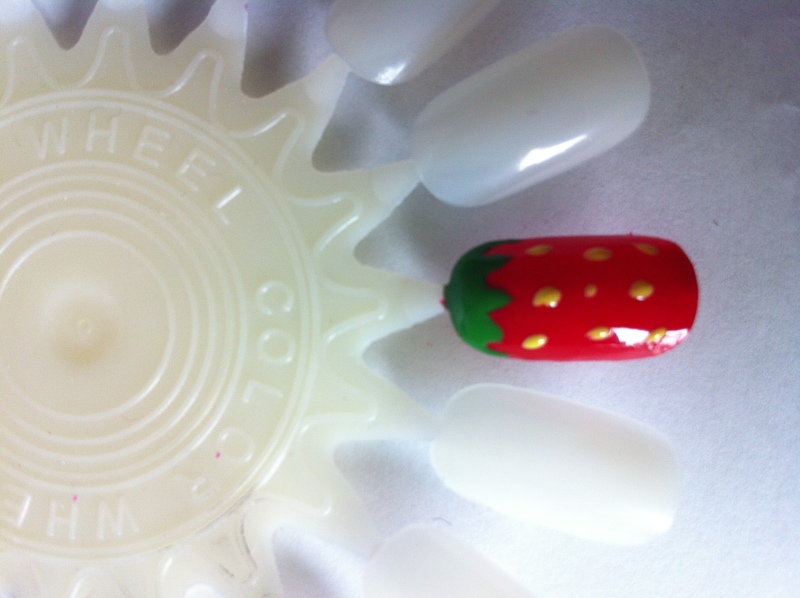 For the design itself, you need a bright red (or pink if you want girly strawbs! ), leafy bright green and a pale yellow. You can see which ones I used above! I would recommend doing a few coats to prevent the colour from looking streaky. Also, can I just apologise for the blurriness of the picture and the fact I’m doing it on a nail wheel.. My nails are not in great condition at the moment! I use a cocktail stick for this bit! Dip your cocktail stick into your green and dab a blob at the top of the nail, drag the polish down and shape it into a triangle pointing downwards, then do two more either side and finally, drag the polish around the edges using the cocktail stick. You may need to do two coats of this if you are using a really runny polish, but always let the layers dry in between, otherwise the red underneath might come through and leave a marbly effect in the green.. and nobody wants mouldy strawberries! Wow this is not the best picture! SORRY.. I’ll get better at this I promise! So next you want to add your little yellow thingummys.. I don’t know whether the right word is pips, or seeds or what. Either way.. you need ’em! 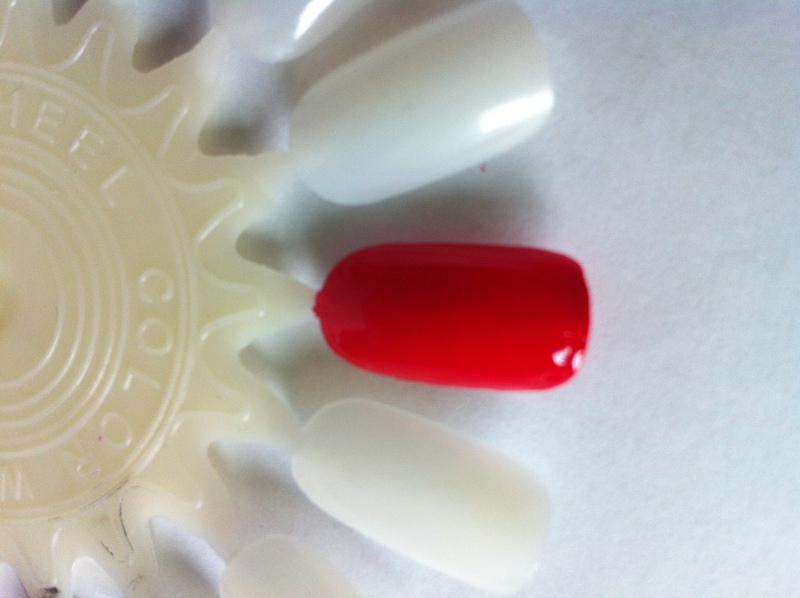 Dip a clean cocktail stick in your light yellow, making sure you have a little glob on the end, then lightly touch it to the nail in the middle of the red. Use this middle dot to radiate outwards until you have a nice little dotty pattern. Try to make the dots a little elongated and not too uniform in size! Finally, once all of your layers are dry, paint over your whole design with top coat! Even if your top coat is fast dry and will dry your other polish, it is important to let your other polish dry first as applying the topcoat on sticky polish might cause your yummy strawberry to run, and all your hard work will be ruined! Here’s some I did a while ago! These ones were my first attempt from about a year ago! They’re a bit messy and I am by no means a super great nail artist but practise makes perfect! 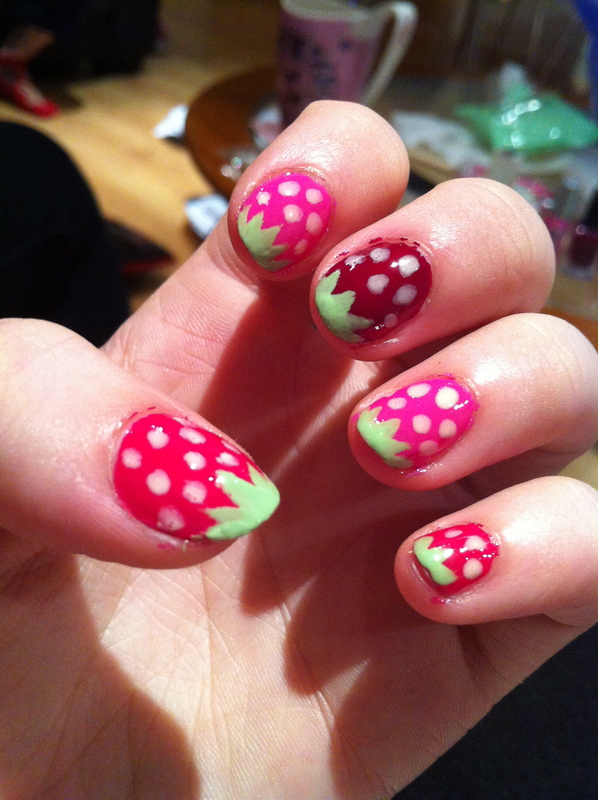 Have fun strawberrying up your nails! I’d love to see photos! 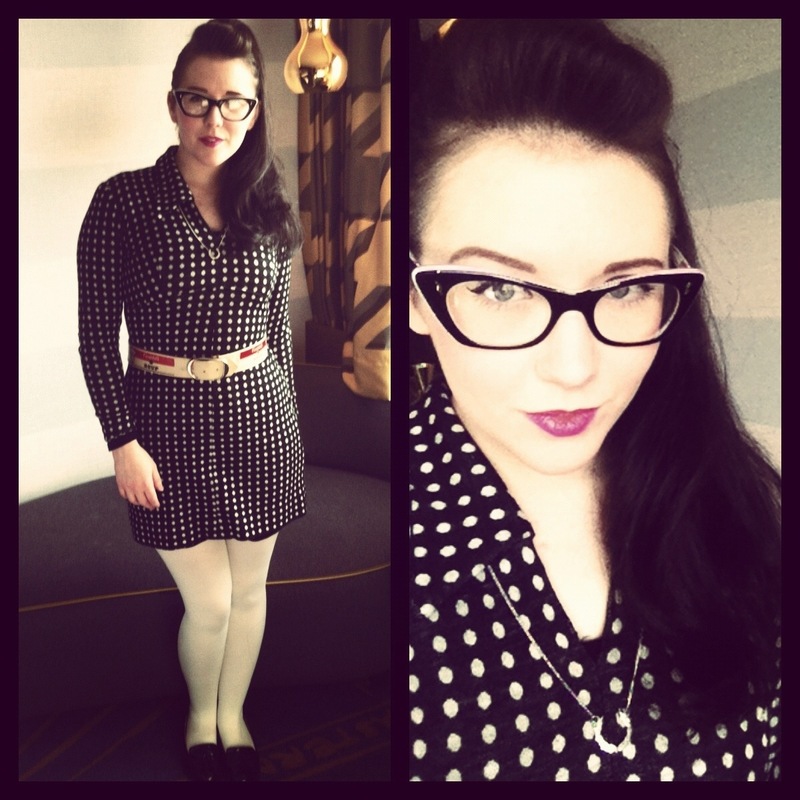 On the first day of our trip I donned this super cute vintage dress from Pop Boutique that I hadn’t worn for a while. I love this dress as it brings vintage glamour to winter months! It has knitted sleeves and I always feel a little ‘Velma’ from Scooby Doo when I wear it! 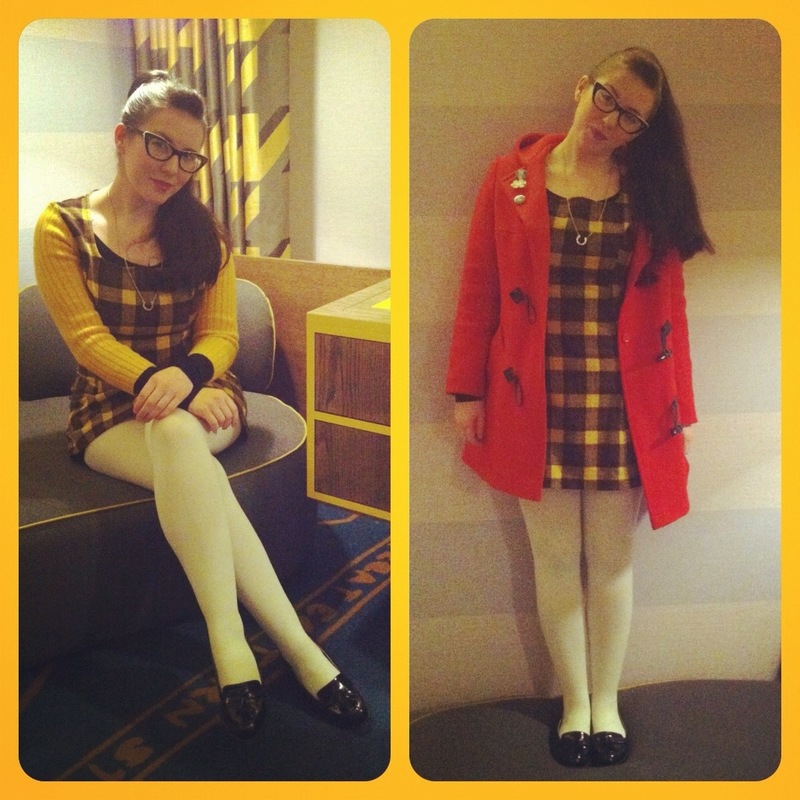 I slung my cute vintage duffle coat on top and wore some thick white tights and little black pumps from Schuh! On the second day I wore another vintage find from Pop.. This adorable spotty long sleeved number.. Yet another one ideal for winter! Who knew I had so many wintery vintage dresses? Boyfriend will kill me for saying I have nothing to wear! A second pair of white tights to go with this dress (I really love white tights!) and a vintage Campbell’s soup belt.. One of the best vintage items I own! My trusty Fred Perry necklace was round my neck on both days and I obviously can’t go anywhere without my Gillian Caplan glasses! More posts to come soon! I’ve been super ill! !